The first I heard of La Fea was an email arriving in my inbox inviting me to listen to their MySpace songs. This of course is the contemporary equivalent of getting an envelope through the door with a scrappy note that starts ‘Dear fanzine editor’ accompanying a demo tape with a dodgy home-made cover and usually even dodgier songs. And whilst that could in itself be rather exciting, the sheer volume could often make you buckle and go under. Or at least that’s how I remember it. It’s the same with the electronic versions, although somehow it’s easier to ignore the stuff you don’t like and of course it saves a lot on landfill of cassette tapes. All of which is a rather roundabout way of getting to the point of the story, which is that when something unsolicited turns out to be as special and addictive as the sounds proffered by La Fea then it really stands out; is as exciting an experience as any you will ever have. 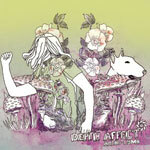 Certainly this Brooklyn band have excitement in spades, as this, the opener on their new 3” CD proves. Spunkier than Strokes and as fundamentally uplifting as the first Legends! album (it’s the treated vocals that draw out the parallels as much as anything), La Fea froth and bubble with a bundle of trouble, erupting in an artfully poised rush of blood like rabid Pop Artists with safety pins stuck in their hearts. 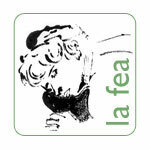 La Fea are Punk Rock in the same way that Baby Lemonade were Punk Rock and Green Day weren’t. Go figure. The Besties are Punk Rock too, in the way that Talulah Gosh were Punk Rock and Blink 182 weren’t. They’re also from Brooklyn, which suggests there’s something in the water in that burgh, or at least that there is a thriving Indiepop community willing to have fun with Pop. And boy, do The Besties have fun! No artful song titles here, just things like ‘Prison Song’, ‘Pirate Song’, ‘Zombie Song’ and this, the ‘Swedish Song’. And yes, like all the best Pop bands they have a ‘Theme Song’. Sugar sweet and dripping with syrup, The Besties’ Singer album (on Skipping Stones) is twenty-five minutes of fun fun fun; is a record that knows the dangers of outstaying your welcome; is a record that remembers the thrill of Tiger Trap and Cub and of swaying in the shadows of the Pop Club, dancing in the dark and sucking on a vodka popsicle. Seachange are less Fun than The Besties, but are every bit as enjoyable. I loved their ‘AvsCo10’ single from a while back because it reminded me of Wolfhounds in their last days: a whirlwind of unrepentant guitars and righteous anger exploding in arcs of colour like carefully choreographed firecrackers. This new offering, on the Sink And Stove label sampler A Flash In The Pan sees them rather more restrained but every bit as instinctual and avuncular. They still recall Wolfhounds, but interestingly appear now to be in tune with that great lost band’s mid season efforts on the criminally under valued Bright And Guilty album. Like their labelmates The Playwrights, Seachange make a startlingly intelligent and literate sound that is passionate, powerful and full of suburban soul. And like Playwrights too, Seachange deserve to be clutched to your bosom and cherished as a band capable of making your life immeasurably more pleasurable. I know I can’t wait to hear more from them as the year unfurls. In contrast, At The Lake and Cherubs are more orthodox rock, though only slightly less entertaining as a result. Now I’ve said it before and will say it a lot of times again in the future, but I really do think a lot of the sounds made by bands like, say, Editors, Interpol etc owe an awful lot to the noise conjured in the 1980s by The Chameleons. Certainly I hear the big space of the Chameleons in this single by At The Lake, and there is a part of my heart that finds that immensely thrilling even as my head is telling me it’s all smoke and mirrors. But then, is that such a crime? Sometimes it’s enough to just get lost in the mist and surrender to the moment. Which is what I do with Cherubs’ ‘Paper Cut Moon’, though even whilst in the throes of that surrender I can hear my brain whirring and fighting. For Cherubs sound so much like Suede, and I never liked Suede in the slightest. So much of me should recoil from Cherubs, but the fact is that they shimmer so seductively, make me think of tarnished glitterballs smashed on the disco floor and of beautifully thin outsiders stalking the city streets at 3am with spiders in their eyes. It’s not a world I have ever really wanted to be a part of, but it’s nevertheless got a thread of a hold on me. I blame the media of my youth. Three oddities in a row now, kicked off with the wonderful ‘Honey Folky’ from Depth Affect’s Arche-Lymb set on Autres Directions. There was a time, must be nearly a decade ago now, when I was buying a lot of this kind of quirky electronica, and it’s nice to be reminded that there are still people out there ploughing the furrow. This is eclectic folk electronica with awkward angles and glitches of funky urbane delight. Freaky dancin’ guaranteed. Tenebrous meanwhile offer a grand instrumental from their eponymous album for Fire Records, building up with tattered piano riffs on top of milk bottle percussion. It’s a manic blues for the devil in the deserted Victorian villa on the abandoned corner of paradise lost, and it is as thrilling and unsettling as that ought to suggest. Elsewhere on the album there are vocals that bring to mind Nick Cave, and really it’s all very Bad Seeds and you can’t say finer than that. Also on Fire is the Scalpel Slice album by Gerry Mitchell And Little Sparta. Now poetry in rock is a tricky business and few can carry it off. I’m not sure acclaimed Glasgow photographer Gerry Mitchell manages it wholesale, but he’s got pretty close, as on this track where his ragged voice harries words of blasted urban landscapes over a backing track that plays the orchestrated Rock noise very well indeed. If you wanted to be difficult you could say it’s nothing that Godspeed! and their ilk haven’t been doing for some years now, but there is nothing wrong with recognising the codes and managing them in your own manner. It’s fundamentally what we all do as artists anyway. Certainly an interesting detour. Edinburghs’ Vicotrians are more my flavour though, and I have been playing their recent collection of demos with an ever increasing belief that they could be something quite special. Certainly this track recalls a flavour of Felt with a dash of spectral soft psychedelia. That someone should strive to reclaim the phrase “the eye of the tiger” from the depths of Survivor and Rocky movies is only a bonus. Look out for a 3” release from them in the coming months. This month’s Swedish ingredient comes courtesy of these two cuts by Jeniferever and Tillmans respectively. The former’s ‘From Across The Sea’ single is the opener from their forthcoming Choose A Bright Morning album (both on Drowned In Sound), and sets the scene perfectly with six minutes of gorgeous, mesmerising Space Rock. Underpinned by a languid rhythm of heartbeat drumming, washed with breathy vocals that in places spark with a liquid emotion that casts a shadow of the ghost of early Prefab Sprout and with a lush façade pierced with sparkling ice guitar shards, this is a frosty morning treat. 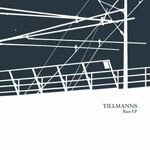 Tillmans meanwhile offer up the lead track from their four track 7” EP on Fraction. The photo on their website suggests they are a duo with a penchant for moody Noir photography, which is no bad starting place. The sound of the single meanwhile suggests they also have a love of the likes of early Field Mice and Wake records, whose textures they eerily evoke. It’s a very restrained and pared down sound, much more so than that of Jeniferever, but it is similarly all ice blue skies and piercing winds. Just the thing for the end of January. Closing off with two Indiepop survivors, though neither would thank me for saying so. Dan Treacy returns from a decade spent in dark places with a new TV Personalities album called, appropriately enough My Dark Places, and it is as troubling and gifted a record as we might have expected. There is so much I feel I need to write about the album, and with luck I’ll find the time to do so before its March release. It was a difficult decision picking a track for this mix, because there are many special moments, and the lead single ‘All The Young Children On Crack’ was certainly a contender. But in the end I had to go for ‘I Hope You’re Happy Now’ if only because it encapsulates so much of the appeal of the album in one song, being a torn bare bittersweet piece of soiled beauty. Cracked, flawed, a collision of love and hate boiling in one pot, it’s almost a pocket biography of Dan Treacy. It goes without saying that it is certainly brilliant. James Roberts, meanwhile, first surfaced with proto-psych Indieoppers The Sea Urchins with whom he made a string of singles whose magnificently grandiose dreams were often hurled into conflict with lack of resources and competence. Which of course is largely why they were so spectacularly good. After the Urchins’ demise he fronted Delta. Now I never quite got on terms with Delta. They seemed to lean just a shade too much on the side of ‘70s Rock influence for my liking, and I found most of their records on the whole to be un-engaging. It was with this concern then that I approached Roberts’ new solo offering Everything You Know Is Right (on Dell’Orso). 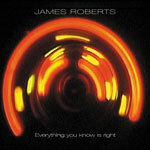 I’m pleased to say that I have been confounded, for Everything You Know Is Right is a beautiful contemporary confection that often blends an understanding of classic late ‘60s and early ‘70s soft Rock songwriting with a very modern electronic aesthetic. This is the kind of sound I suspect chancers like Ocean Colour Scene, The Verve or even Oasis might have dreamt of achieving if only their sights weren’t so blinkered by obvious Rock cliché and bombast. It’s the kind of record that seems to me to strive to break free of the codes of its foundations, that looks towards fusing established styles in a way that breathes new fire and light into their bones. And in doing so it reminds me of no less a record than Gene Clark’s momentous No Other, though more in its scope than necessarily in its sound. This seems finally to be a record where those grandiose dreams of the Sea Urchins find a place to lay their heads and be made whole. Lush and tremulous all at once, this is a record to treasure, and alongside the TVP’s My Dark Places is one to rank as one of the first contenders for Album Of The Year.